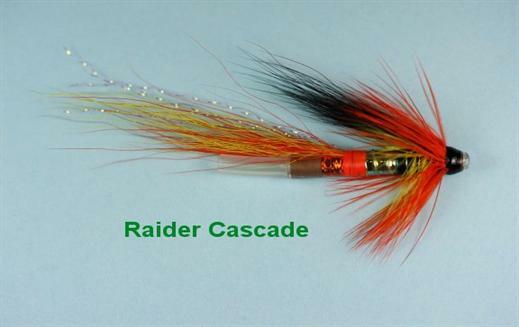 The Raider Cascade JC, is tied on a copper tube, and is an exciting fly that gets down to where the fish are swimming. This vibrant pattern works its magic from early summer right through to autumn. It is particularly good if the water is coloured or cold. Currently there are no comments about the Raider Cascade JC fly pattern from other fly fishermen yet.